The Queens Museum offers weekly Drop-in Family Art Workshops on Sundays from 1:30 pm-4:30 pm that are free with suggested museum admission. No advance registration is necessary. If you would like to know what we are making, please make sure you check our events page before you come. Family workshops take place in one of our art studios and different locations throughout the museum each week, please ask our admissions desk where to go. These fun, educational workshops invite children ages 4 and up, and their adult companions to take part in a shared learning experience that take visitors into our galleries and art studios. Activities offer families the opportunity to reflect on the artworks presented in Museum exhibitions as they work collaboratively to create unique works of their own with a variety of different materials. The art projects are as wildly diverse as the Queens Museum’s dynamic permanent and changing exhibitions. From building monsters to designing city blocks to making puppets, the art works are created by adults and children together under the guidance of skilled and caring teaching artists and a team of youth assistants from our Queens Teens program. Family Art Workshops accommodate diverse learners and are accessible to families with children with special needs and English Language Learners. 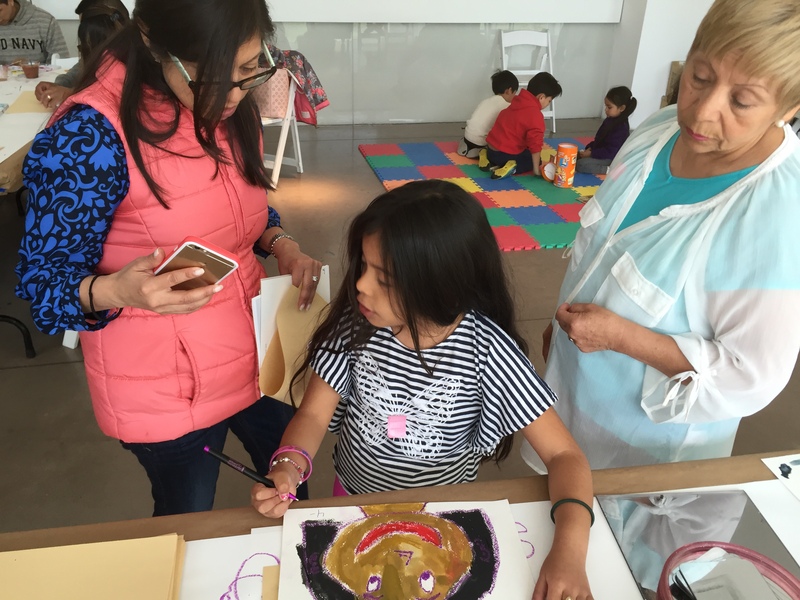 For more information about Family Art Workshops at the Queens Museum please contact us at 718.592.9700 or cflores@queensmuseum.org. On the third Sunday of each month, we offer art workshops led by licensed art-therapists, geared particularly toward families with special needs children, including those on the autism spectrum. All family art-making workshops are drop-in, except where stated. Storytelling sessions run for 15 mins and begin at 1:30pm, 2:30pm and 3:30pm. Dance workshops run on selected dates for 45 mins at 1:45pm, 2:45pm and 3:45pm. Please check the calendar below for dance workshop dates.